At a glance, dewberries are sometimes confused with blackberries, but each plant has its own unique features. 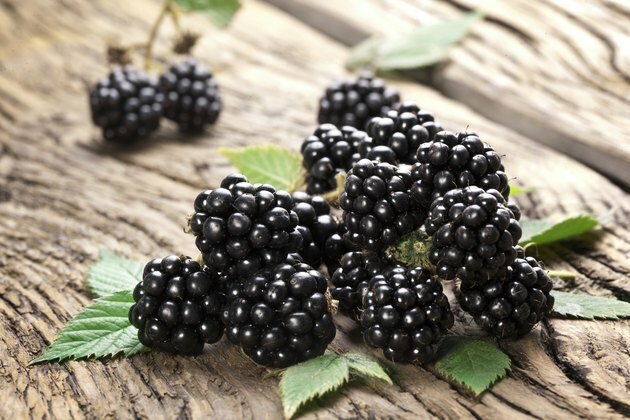 In its early days, the dewberry plant was derived from the blackberry plant, but it now has about 100 varieties of its own. 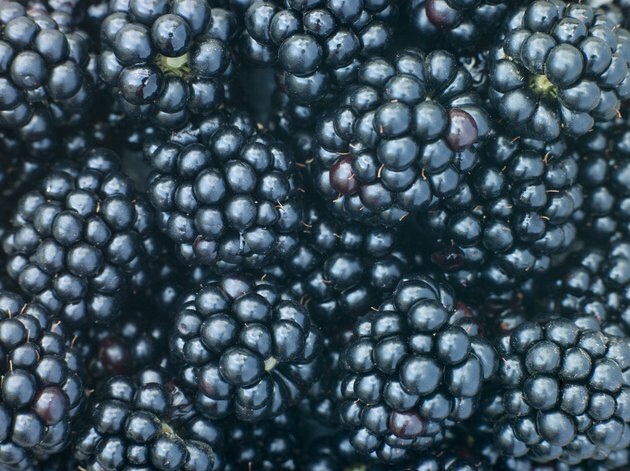 Both blackberries and dewberries are edible and are mostly used in pies, jams and cobblers, but dewberries are sweeter. Unripened berries are a deep red or burgundy. They become the darkest purple or black when they are ripe and ready to eat. 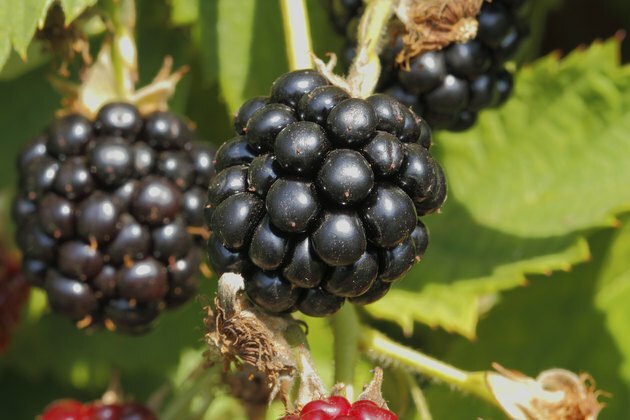 The blackberry's scientific name is Rubus, with about 200 species of blackberry and dewberry under this genus. 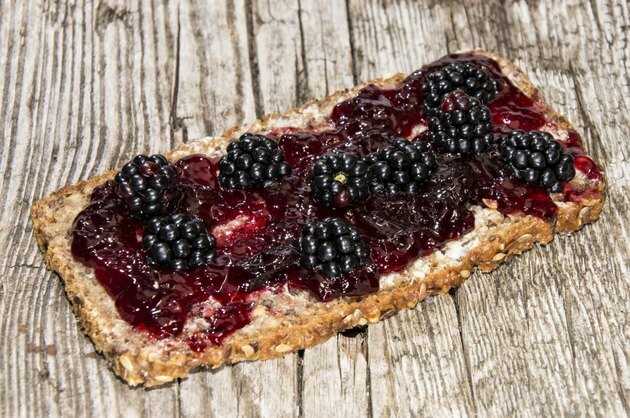 You can call a dewberry a blackberry, but you cannot call a blackberry a dewberry unless that is the specific type. Dewberry plants are a perennial sub-shrub that can grow vertically only if supported by something sturdy. Most blackberry plants need minimal support. 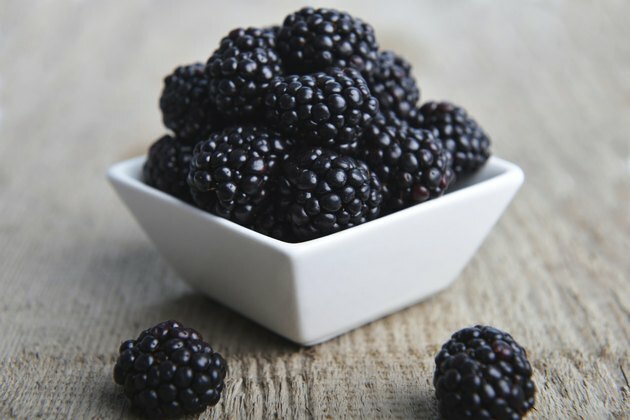 Blackberries grow in U.S. Department of Agriculture (USDA) climate zones 3 through 7, depending on the specific type of plant. Dewberries are commonly found in zones 5 through 8. Dewberries are not grown naturally outside the United States. Dewberry plants are considered a nuisance weed by farmers. They are more likely to grow wild than blackberry plants. A former community newspaper reporter, columnist and photojournalist in Virginia, MJ Knoblock holds a bachelor’s degree in journalism and has been writing for more than 20 years. 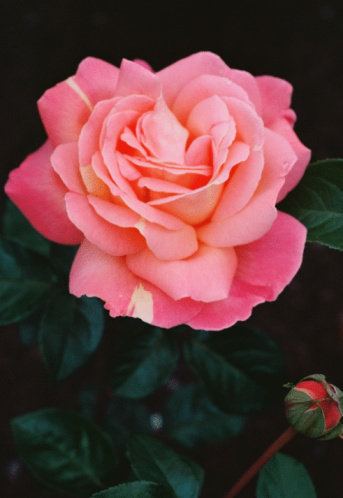 Is the Jasmine Plant Related to Honeysuckle? What Do Wild Blueberry Bushes Look Like?